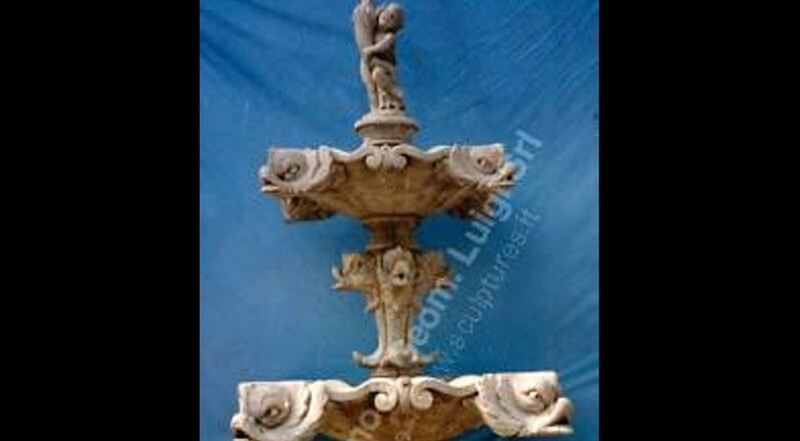 A large decorated 2 tiers stone fountain. The dolphins base and all the dolphins on the two decorated bowls are hand-carved in Vicenza Stone. The 4 head dolphins on the bowls drilled for water. It's a very impressive fountain, on top finial a cherub with dolphin too. Also the 4 dolphins at the base are drilled for water.